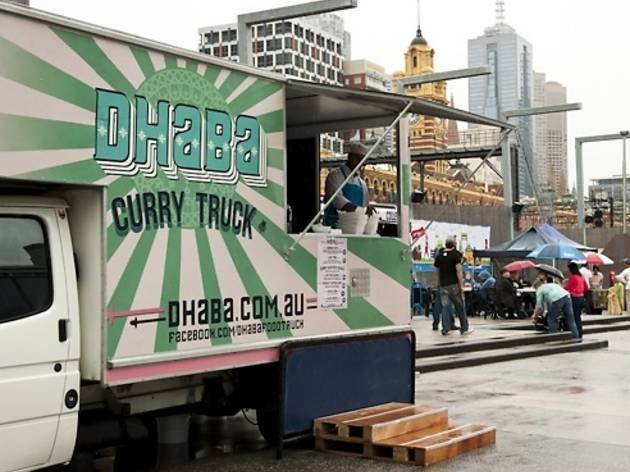 They've been operating out in the far reaches of Kyneton, but slowly and surely that green and pink starburst decorated curry wagon has been making itself seen around the the inner city streets. 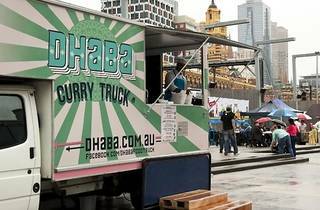 A mobile spin-off from Dhaba at the Mill Indian restaurant in Kyneton, they have a street snack focus with lots of handheld gear you can grab and run with, plus a series of rotating curries over rice for propping it up on a grassy knoll. Hit 'em up for pumpkin curry in a mild-like-your-nanna cinnamon, turmeric, mustard spiked coconut sauce or grab the butter chicken and a fistful of samosas and run.